Over the last few years I have grown to love Cesanese as it is a wine you see on many wine lists around Rome. It matches incredibly well with bucatini all’amatriciana (my favourite Roman pasta dish) and the wine is very local being only 70 kms from Rome. 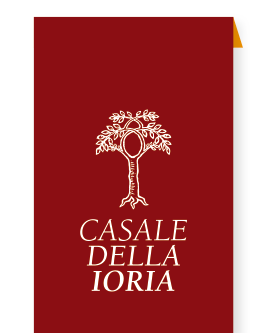 Casale della Ioria is located in Acuto which sits in the shadow of the Appenino Centrale (the mountain range down the spine of central Italy) and the vineyards sit at an elevation of 380-450 metres and on a mix of clay and ancient volcanic soil. The estate is worked organically and no synthetic products are used, the use of the ancient method of “sovescio” (the use of small plants of “favino” similar to beans that are planted at the base of the vines to enrich the soil) is employed. The training system is guyot and the density is around 5000 plants per hectare. The main varieties grown are Cesanese with a small amount of Passerina and Olivella. Simplicity in the winery is the key to preserving the beautiful fruit character and the processes are slow paced and balanced. Expect wines full of character with a distinct richness and lovely natural balance.